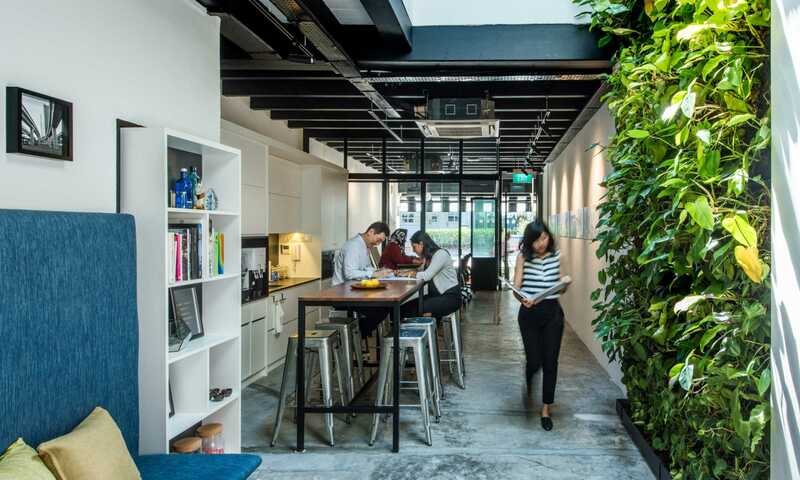 The HKS Singapore team is honored to receive Green Mark Gold Plus Certification for the design of its office. It is an historic designation, because it’s the first shophouse in Singapore to achieve such a high sustainability certification. The recognition is meaningful to us, because it represents our stewardship of our environment as well as our city’s culture. Shophouses are distinct to Singapore’s identity. Like the city itself, they elegantly blend East and West, combining Chinese porcelain tile with batwing-shaped air vents, Portuguese shutters with Corinthian pilasters. Shophouse styles were defined by Sir Stamford Raffles, founder of modern Singapore, in his first town plan of 1822. Shophouses are an early example of live-work environments. The merchant shop was typically located on the lower floor with family quarters above. Today, just 6,000 shophouses remain, and they are protected by strict historic preservation regulations. In Duxton, the neighborhood that houses our office, many have been converted into stylish cafes and boutiques. When we were looking for a location for HKS Singapore, our design team—Chad Porter, Julia Hager, Kenneth Yeo and I—hoped to find a space that was unique to our city. 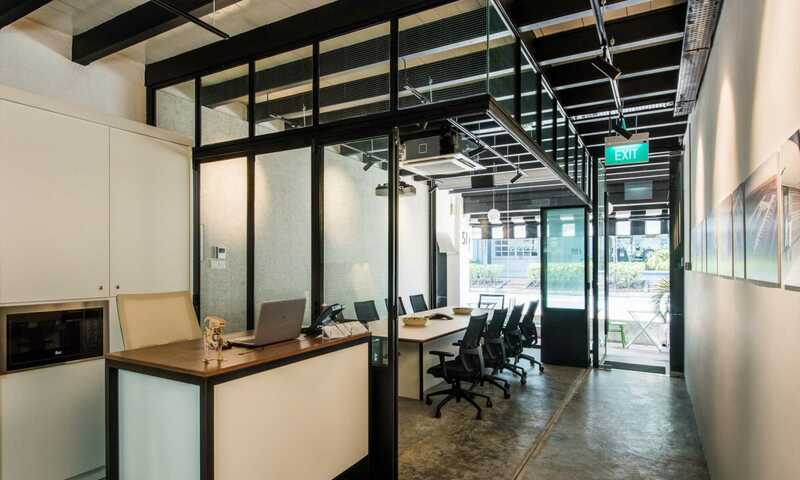 A shophouse was the perfect solution for us, offering a building distinctly integrated into Singapore’s historic fabric with a style befitting our company standards, because the shophouse layout is more like a design studio, and less like a typical work environment. Our goal from the start was to design the “greenest” shophouse in Singapore. 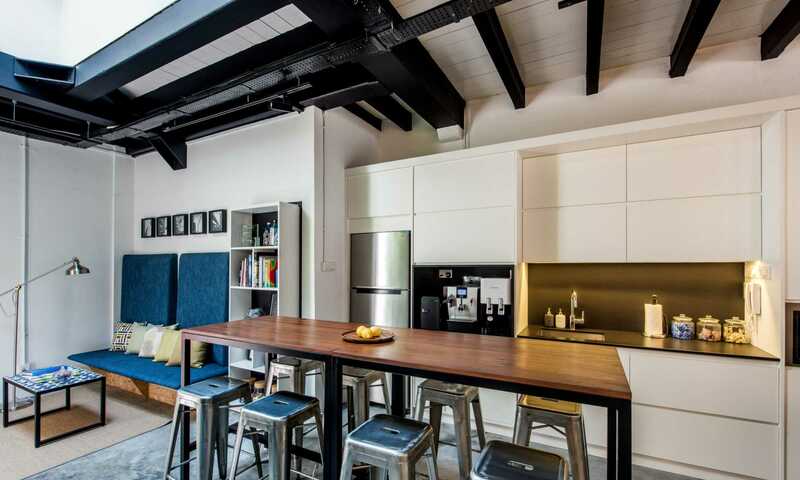 When we first consulted the Building Construction Authority, we learned that no renovated shophouse in Singapore had yet attained Green Mark Gold Plus certification. We hoped to be the first in the country to achieve it — and that goal is now a reality. To earn such a high level of certification, we first began thinking of the building’s systems, and we sought out the most energy-efficient available. Every system in the office is 4-tick compliant based on standards established by the National Environmental Agency in Singapore. With water, HVAC and electricity under control, we began to focus on designing an environment that would maximize wellbeing for people. We incorporated design elements including flexible workstations, interior vegetation, and amenities that would promote health for everyone who comes to our office. Since we moved into our shophouse, I’ve observed a big change in our team’s interactions. We work together, eat together, and we have fun together. Our healthy environment and flexible space enable anyone who works here to choose where and how work happens. Notably, Green Mark certification targets not only safety and sustainability, but also a “friendly environment.” I know we’ve achieved this, because I can see the increase in the number of family members, guests and even pets who visit us and enjoy the warm atmosphere of our shophouse. Charlie Chang was instrumental to our success in achieving Greenmark Gold plus. When I’m asked why we pursued Green Mark certification, I reply: it aligns with our values. We care deeply about our design practice, our studio and our city. To me, historic preservation and environmental sustainability are the same thing. Our environment, our history and our culture are interconnected, and we must be responsible stewards of them all. Today, from Chicago to London, Richmond to Dallas, HKS is redesigning several of our offices and leveraging them to communicate who we are and where we are going together as a fully-integrated global design firm. Angela is responsible for the overall performance and strategic direction of HKS in Asia Pacific. She has more than 24 years of healthcare planning experience on over 15 million square feet of projects across the globe. Angela is passionate about the advancement of living standards through an improved environment, with focuses on hospital disaster preparedness and environments for the aging population.